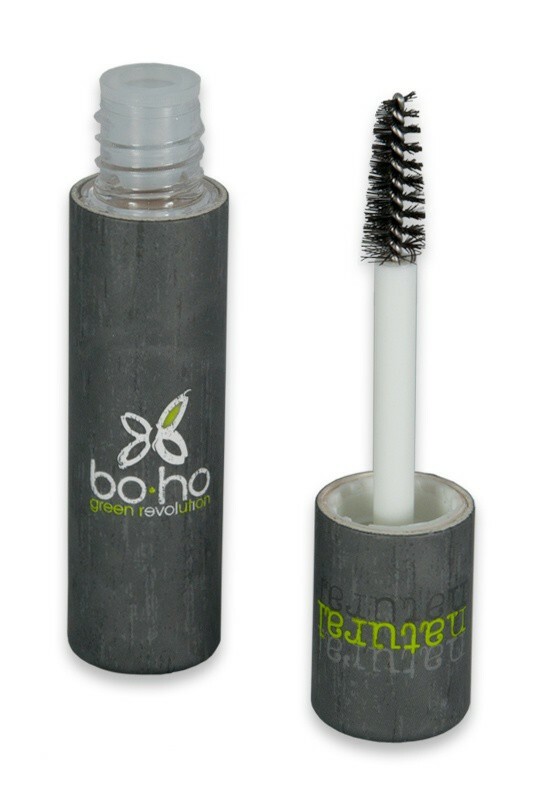 Boho Green Revolution Organic Mascara gives volume and length to your lashes. Its gentle natural formula respects sensitive eyes and conditions your lashes thanks to nourrishing beeswax and protecting vitamin E. BO HO Natural Mascara has a dense mini-brush which coats all the lashes, even the shorter ones. You will like its compact size, very convenient for storing and on the go ! 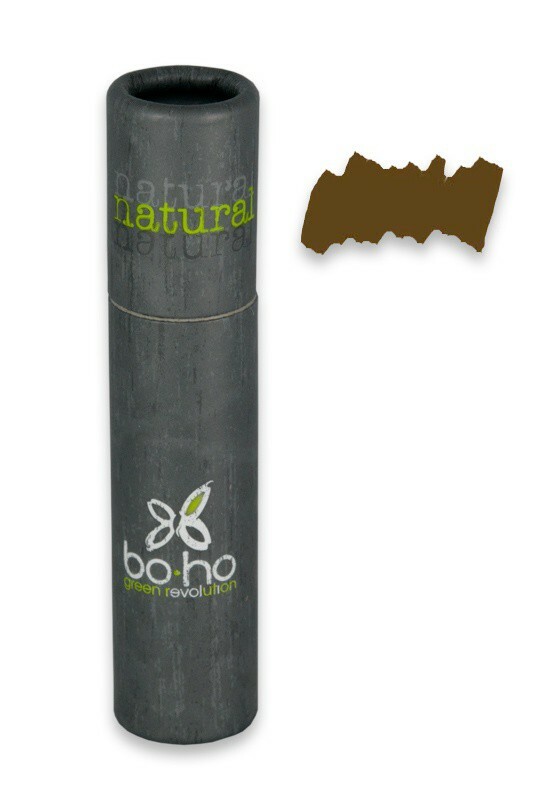 Apply BOHO Organic Mascara starting at the base of upper and lower lashes and working towards the tip in zigzag strokes to separate them. For more intensity, apply a second coat. Shea butter, Candelilla wax, Vitamin E, Resin of Locust Tree, Carnauba, Beeswax.